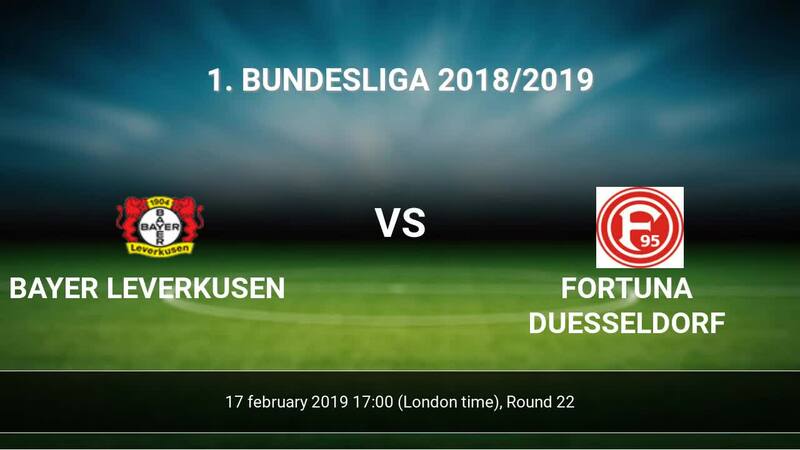 Match Bayer Leverkusen-Fortuna Duesseldorf 1. Bundesliga the fixture is set to kick-off today 17:00 on BayArena. Refereee Markus Schmidt. 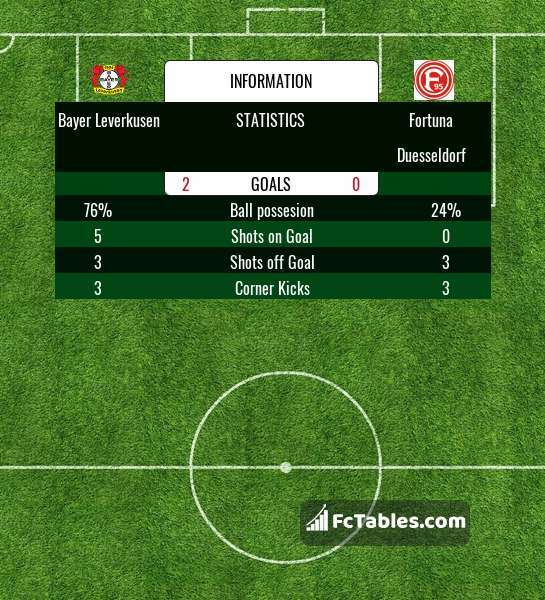 Team Bayer Leverkusen is located in the middle of the table. (8 place). In 5 last games (league + cup) Bayer Leverkusen get 12 points. from 3 matches team have not been defeated. The best players Bayer Leverkusen in 1. Bundesliga, who scored the most goals for the club: Kevin Volland 8 goals, Kai Havertz 8 goals, Karim Bellarabi 5 goals. Players with the most assists: Kevin Volland 4 assists, Kai Havertz 2 assists, Karim Bellarabi 4 assists. Injured players Bayer Leverkusen: Panagiotis Retsos, Lars Bender, Joel Pohjanpalo. Team Fortuna Duesseldorf is located in the middle of the table. (12 place). Form team looks like this: In the last 5 matches (league + cup) gain 10 points. away from 3 matches team have not been defeated. The most goals in 1. 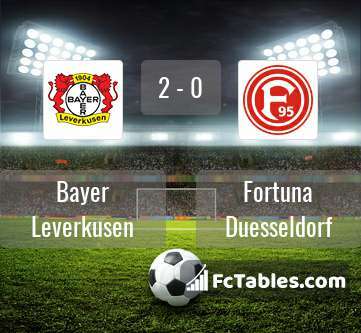 Bundesliga for Fortuna Duesseldorf scored: Dodi Lukebakio 7 goals, Benito Raman 5 goals, Rouwen Hennings 3 goals. Players with the most assists: Dodi Lukebakio 2 assists, Rouwen Hennings 2 assists. Kaan Ayhan, Kevin Stoeger. They will not be able to play in the game due to suspension. Direct matches: usually ended with winning of Bayer Leverkusen. Balace of both teams games are: 5 won Bayer Leverkusen, 2 wins Fortuna Duesseldorf, 0 draws. In 5 matches the sum of the goals both teams was greater than 2.5 (Over 2.5). On the other hand, 6 matches teams scored more than 1.5 goals (Over 1.5). In 4 matches the both teams have shot at least one goal.